M. Takita, M. Hirotomo, and M. Morii, "Syndrome Decoding of Symbol-Pair Codes," IEICE Transactions on Fundamentals of Electronics, Communications and Computer Sciences, vol.E98-A, no.12, Dec. 2015. M. Takita, M. Hirotomo, and M. Morii, "A Decoding Algorithm for Symbol-Pair Codes Constructed from Cyclic Codes," IEICE Transactions on Fundamentals of Electronics, Communications and Computer Sciences, vol.E98-A, no.12, Dec. 2015. M. Hirotomo, M. Mohri, and M. Morii, “Finite Fields Costituted by the Minimal Ideal in the Polynomial Ring F2[X]/<P(X)>,” Proc. 2002 International Symposium on Information Theory and its Applications (ISITA2002), pp.503-506, Xi'an, PRC, Oct. 2002. M. Hirotomo, M. Mohri, and M. Morii, “A Probabilistic Computation Method for the Weight Distribution of Low-Density Parity-Check Codes,” Proc. 2005 IEEE International Symposium on Information Theory (ISIT 2005), pp.2166-2170, Adelaide, Australia, Sept. 2005. M. Hirotomo, M. Mohri, and M. Morii, “New Probabilistic Algorithm to Enhance the Reliability of Computed Weight Distribution of LDPC Codes,” Proc. 2006 International Symposium on Information Theory and its Applications (ISITA2006), pp.735-740, Seoul, Korea, Oct. 2006. M. Hirotomo, Y. Konishi, and M. Morii, “A Probabilistic Algorithm for Finding the Minimum-Size Stopping Sets of LDPC Codes,” Proc. 2008 IEEE Information Theory Workshop (ITW 2008), pp.66–70, Porto, Portugal, May 2008. M. Hirotomo, Y. Konishi, and M. Morii, “An Effective Method for Finding the Minimal Stopping Set of LDPC Codes,” Proc. 2007 Hawaii and SITA Joint Conference on Information Theory (HISC2007), pp.160-165, Hawaii, USA, May 2007. M. Hirotomo, Y. Konishi, and M. Morii, “On the Probabilistic Computation Algorithm for the Minimum-Size Stopping Sets of LDPC Codes,” Proc. 2008 IEEE International Symposium on Information Theory (ISIT 2008), pp.295–299, Toronto, Canada, July 2008. Y. Ozasa, M. Hirotomo, and M. Morii, “Fast Multiplication Algorithm over GF(2m) Using Look-Up Two Dimensional Table,” Proc. the 3rd Joint Workshop on Information Security (JWIS2008), pp.402-413, Seoul, Korea, July 2008. M. Hirotomo, Y. Konishi, and M. Morii, “Approximate Examination of Trapping Sets of LDPC Codes Using the Probabilistic Algorithm,” Proc. 2008 International Symposium on Information Theory and its Applications (ISITA2008), pp.754-759, Auckland, New Zealand, Dec. 2008. M. Hirotomo, Y. Konishi, and M. Morii, “On the Probabilistic Computation of the Stopping Redundancy of LDPC Codes,” Proc. 2009 IEEE International Symposium on Information Theory (ISIT 2009), pp.234–238, Seoul, Korea, June 2009. 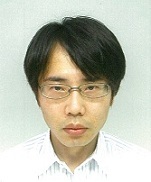 M. Hirotomo and M. Morii, “Detailed Evaluation of Error Floors of LDPC Codes Using the Probabilistic Algorithm,” Proc. 2010 International Symposium on Information Theory and its Applications (ISITA2010), pp.513-518, Taichung, Taiwan, Oct. 2010. M. Hirotomo, M. Mohri, and M. Morii, “A Reliability-Based Computation Method for the Weight Distribution of LDPC Codes Using the Probabilistic Algorithm,” Proc. 2011 IEEE International Symposium on Information Theory (ISIT 2011), pp.361–365, Saint Petersburg, Russia, August 2011. T. Yamamoto, Y. Fukuta, M. Mohri, M. Hirotomo, and Y. Shiraishi, “A Distribution Scheme of Certificate Revocation List by Inter-Vehicle Communication Using a Random Network Coding,” Proc. 2012 International Symposium on Information Theory and its Applications (ISITA2012), pp.329-395, Hawaii, USA, Oct. 2012. M. Hirotomo and M. Morii, “An Efficient Method for Computing the Weight Spectrum of LDPC Convolutional Codes Constructed from Quasi-Cyclic Codes,” Proc. 2012 International Symposium on Information Theory and its Applications (ISITA2012), pp.551-555, Hawaii, USA, Oct. 2012. T. Matsukawa, T. Yamamoto, Y. Fukuta, M. Hirotomo, M. Mohri, and Y. Shiraishi, “Controlling Signature Verification of Network Coded Packet on VANET,” Proc. the 12th International Conference on ITS Telecommunications (ITST 2012), pp.679-683, Taipei, Taiwan, Nov. 2012. T. Hirai, M. Hirotomo, M. Mohri, and Y. Shiraishi, “Migration of Application Data to REST-Based Online Storage Service,” Proc. the 7th International Conference on Ubiquitous Information Technology and Applications (CUTE 2012), pp.223-231, Hong Kong, China, Dec. 2012. M. Hirotomo, J. Tsurumi and M. Morii, “On Computing the Weight Distribution of Non-Binary LDPC Codes Using the Probabilistic Algorithm,” Proc. 2014 International Symposium on Information Theory and its Applications (ISITA2014), pp.11-15, Melbourne, Australia, Oct. 2014. M. Hirotomo, M. Takita and M. Morii, “Syndrome Decoding of Symbol-Pair Codes,” Proc. 2014 IEEE Information Theory Workshop (ITW 2014), pp.163-167, Tasmania, Australia, Nov. 2014. ISITA2002 Travel Support for Students, Oct. 2002. Copyright © 2013- Masanori Hirotomo. All rights reserved.